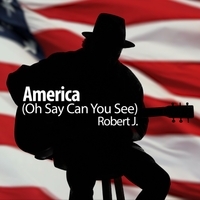 Robert J will celebrate the release of “America (Oh, Say Can You See” on Memorial Day, May 28th at Christy’s Landing, a traditional annual event for Robert and his band the Moon Gypsies. They will perform from 2-6pm. Help your local artists by purchasing their music: “America (Oh, Say Can You See) can be purchased here. It is the duty of the artist to reflect our humanity. Whether it be the beauty or ferocity of the forces of nature, the exaltation or the despairs of love, or the heroic deeds or the epic foibles of humankind. The protest song, in particular, is concerned with the last of these. Since the advent of the human voice, the stories have been passed on but with the rise of the industrialized world and increasingly more effective streams of distribution, the protest song form has had significant impact. An all-star cast helped out on the recording of the song including Mauro Magellan on drums, Mary Gaines on bass and vocals, Chris Wagoner on lap steel and vocals, David Cox on backing vocals, Mike Massey on piano, Dave Adler on organ, Tony Castaneda on congas and Pauli Ryan on percussion. The track was mixed by Mike Zirkel. I’ve known Robert J since he first came to Madison in the Eighties; we work closely together now on the MAMA Cares project. I know how long and how hard he’s worked on this. For months I’ve heard about his efforts on this one song, which amplifies its importance. I remember him saying how he had something like thirty-six verses and was struggling to condense it down into a more digestible length. If that doesn’t speak to you of the gravity of the situation, you’re running with the ostriches.